Let the experienced risk management consultants at IAG analyze the market data to help you make the best decisions for your agribusiness. The expert staff at IAG provides agribusiness professionals with customized risk management strategies and services to fit your individualized needs. IAG consultants have a combined 80-plus years of proven experience in agribusiness risk management. We know what it takes to be successful in the industry. With a clear understanding of the global agricultural commodity market, IAG is the ultimate marketing resource for agribusiness professionals. Meet the IAG agribusiness market consultants Mark Feight, Ben Fisher, and Pat Boova. Together, they have more than 80 years of global agricultural commodity market and research experience. Sitemap and navigation for the website of International Agribusiness Group. We provide customized weather reporting for professionals in the agricultural industry. At IAG, we look at the data behind the forecast to make marketing strategies for our clients. Commodity prices? Market research? Grain futures? Don’t stress. Leave it to the risk management experts at IAG. Give us a call. IAG 90 Day Trial - Risk Free! 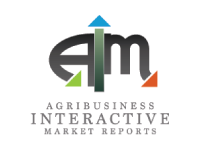 Free trial for International Agribusiness Group's agricultural marketing service and risk management consulting. IAG's most recent data reports. Get outlooks on the upcoming growing season, including hurricane season. Bringing Life to the Data. Join AIG as we travel each year throughout the nation's heartland and breadbasket to give you first-hand accounts of what's actually happening in the fields. New Farm Logs Webinar Coming September 16th! 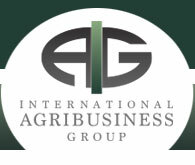 The International Agribusiness Group is excited to announce that their managing director Mark Feight will be joining Max Armstrong for the May 18th episode of This Week in Agribusiness. Agribusiness is risky business. With experienced risk management consulting from IAG, you don’t have to do it on your own. From the planning stages to the best time to market your crops, IAG works with farmers year around gathering and discussing the information that will help you make informed decisions. At IAG, we thoroughly analyze the data. So much so that our clients who are investors use our insights to test internal models and to look for future opportunities. At IAG, we understand that market direction and margins are crucial while managing risk for the food processing and manufacturing industries. IAG provides data, market insights and strategies to help food retailers make better buying and selling decisions. Get a better understanding with this glossary of terms, keywords, and industry jargon used by International Agribusiness Group.